Later this year, drones will be used to help rescue stranded swimmers and to spot sharks that might be getting a little too close for comfort. 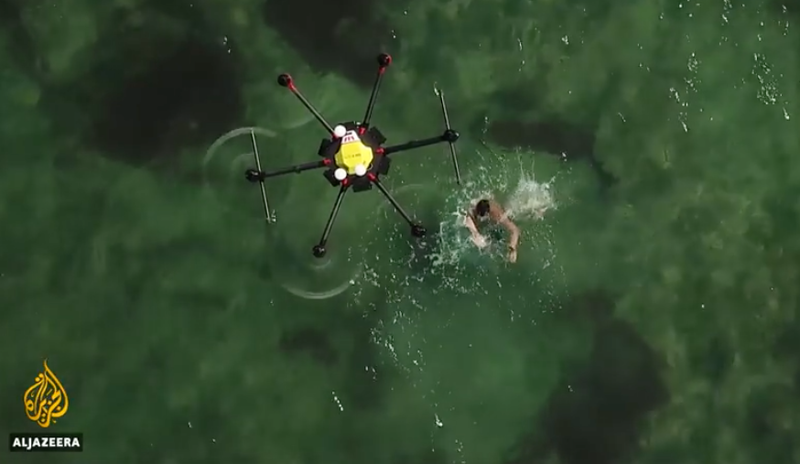 Later this year, during the Southern Hemisphere summer, drones will be used to help rescue stranded swimmers and to spot sharks that might be getting a little too close for comfort. Al Jazeera’s Andrew Thomas reports from Mooloolaba.